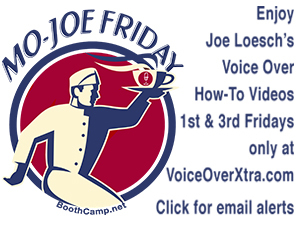 (VOXtra) - Well-known voice actor and voice-over trainer/producer J. Michael Collins is suing online casting giant Voices(dot)com for alleged unauthorized use of Collins' likeness, voice, name and an implied endorsement of that firm in its marketing. The lawsuit filed in the United States District Court, Southern District of New York, seeks a halt of that "unlawful conduct" and "deceptive trade practice" plus a jury trial to determine compensatory and punitive damages. The actual defendant in the suit is Interactive Voices Inc., d/b/a Voices(dot)com, which is based in London, Ontario, Canada. "Voices(dot)com has been using my name, voice and likeness for almost a year in violation of a direct order to them to refrain from doing so, which they acknowledged and agreed to comply with," Collins tells VoiceOverXtra. "They are willfully using my name in marketing their services and falsely implying an endorsement, and are profiting from their attempt to imply that I am associated with their company. "Therefore, I am seeking legal relief," Collins says. "I look forward to presenting my case to a jury, and believe that a jury will agree with our characterization of the facts." Collins (pictured) is a former subscriber to Voices(dot)com, which sends voice-over job audition notices to subscribers and charges fees for a variety of its services. Yet like many voice actors in recent years, Collins dropped that subscription over concerns about what the suit describes as that company's "questionable business practices" and a resulting "poor reputation among the general professional voice-over community." Specifically, the lawsuit cites Voices(dot)com's 'managed service' jobs, whereby the company "allegedly retains a large portion of the budget for the job without revealing to either the voice seeker, or the talent, that they will be retaining a large portion, or how much they are retaining." But prior to canceling his subscription, Collins recorded a video that shares techniques he had used to book jobs and generate revenue through Voices(dot)com. The suit explains that Collins was not compensated for the video by Voices(dot)com, yet Collins gave permission to the firm to use that video - until that permission was revoked by him via email on August 14, 2017. 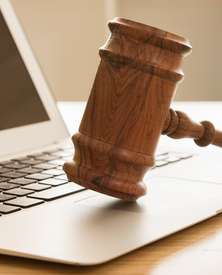 Then, on or about March 2 this year, Collins was informed "by a member of the voice-over community that the video was being used in a mass advertising campaign to promote the services of Voices(dot)com," according to the suit. The continued use of Collins' image and likeness in connection with Voices' marketing has caused "irreparable harm" to Collins, in addition to "the emotional distress of having his likeness exploited without (his) consent," the suit claims. "Unless Defendants are enjoined, Plaintiff will continue to suffer irreparable and permanent harm." Voices(dot)com states on its website that it is "the largest online marketplace of voice talent," serving 200,000 voice actors. As of press time, a Voices(dot)com spokesperson tells VoiceOverXtra: "We are unaware of this complaint, so unfortunately are unable to comment." Update: The the video in question was reportedly removed from the Voices(dot)com marketing piece on July 12. J. Michael Collins is represented in this suit by Attorney Robert J. Sciglimpaglia Jr., who is also a voice actor, actor and film producer. So glad to see someone going after this "scammy" company. Years back, I was a member and won some jobs. But the Voices dot com I knew back then and the company they are today are leaps and bounds apart-and none of it good. The couple that runs/founded the company have no moral compass. If you have ever had to deal with their so called customer service, I'm sure you are well aware of their scripted, robotic replies. And the managed job stuff is B.S..
J. Michael, wishing you all the best with your lawsuit. I just checked with J. Michael and he writes: "The case is proceeding through the system, and we are looking forward to a trial, hopefully next year." (j.valentino) besides being uncharitable you begin with a false equivalency and end up with an uninformed legal analysis. Just because tortious conduct does not inflict physical damage, doesn't make it any less actionable. If we accept your argument, most civil legal action would cease. While the judge may send the case to conference to settle, the case doesn't disappear until the harm caused is remedied. Personally I am indebted to Messrs Collins and Sciglimpaglia for taking this up for everyone who has been ill served by this company. I wish several of the states' attorneys general would pursue action against the company for violation of their states agency statutes. "The continued use of Collins' image and likeness in connection with Voices' marketing has caused "irreparable harm" to Collins, in addition to "the emotional distress of having his likeness exploited without (his) consent," the suit claims." Hey, good luck with that! Try being hit by a red light running car going 45 mph while you are crossing the road in a marked crosswalk. Now, that's irreparable harm and emotional distress. This case about them using your likeness? As soon as the they delete your video, it's likely case dismissed. It would be good practice to put Morgan Stanley whom has invested millions of this type of bad business practice. I love it when people do the right thing! Well done, and I wish you and Robert great success! Good for you to stand up for your rights and stop this unacceptable use by a company that has shown, time and again, they do not operate in the best interest of voice talents. Happy to see that Rob is representing you in this. Adrian, I've just learned that the video in question was removed from the Voices(dot)com marketing piece on July 12. Standing up for yourself and what's right. You Rock, JMC! Way to go, J. Michael. Thank you from all of us. Can you provide a link please to the video that is quoted in the story? Fantastic news! Best of luck, JMC! In my opinion, it's about time somebody did this. I wish you the best, J. Michael Collins!